The Port Gamble S'Klallam Reservation is located on the northern tip of the Kitsap Peninsula on Port Gamble Bay, and its official tribal offices are in Little Boston. 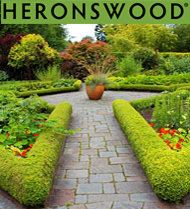 The tribe owns The Point Casino & Hotel and the world-famous, multi-acre botanical garden Heronswood. 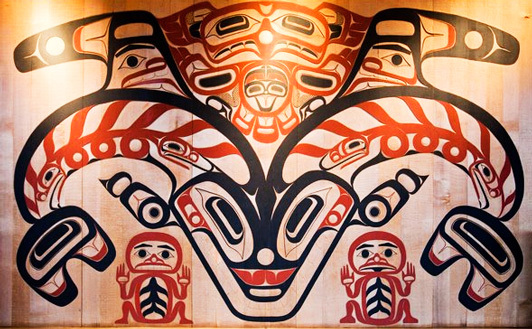 Learn more about the Port Gamble S'Klallam Tribe, its significant contribution to the Kitsap Peninsula history, heritage and culture yesterday and today. 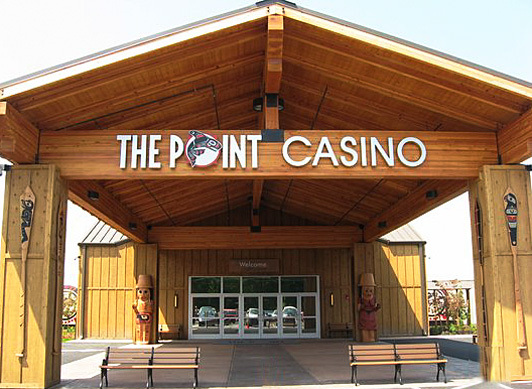 The Point Casino is located on Hansville Road between Kingston and Poulsbo and has become a popular destination for entertainment, dining, sports and as a venue for weddings and other events. Click here for more information about dining options and catering. 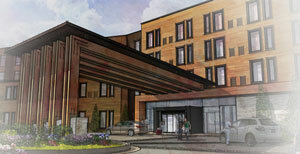 The casino also features a four-story, 94-room boutique hotel. 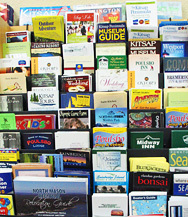 Guest rooms feature unique art and large wall-mounted televisions, and there's Wi-Fi throughout the hotel. Click here for more information. The Port Gamble S’Klallam Tribe and many of its more than 1,200 members live on the shores of Port Gamble Bay on the Kitsap Peninsula. Today, tribal members continue to practice the traditions that have shaped their culture and lives, including fishing, hunting, singing and dancing. 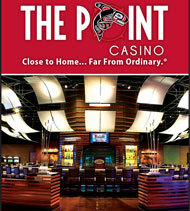 To learn more about the Port Gamble S’Klallam Tribe, please visit its website. The Port Gamble S’Klallam Tribe purchased Heronswood and opens this unique horticultural facility to the public for special events, plant sales, educational programs and tours, including presentations by Dan Hinkley, Heronswood co-founder. Visit its website for information on up-coming events.